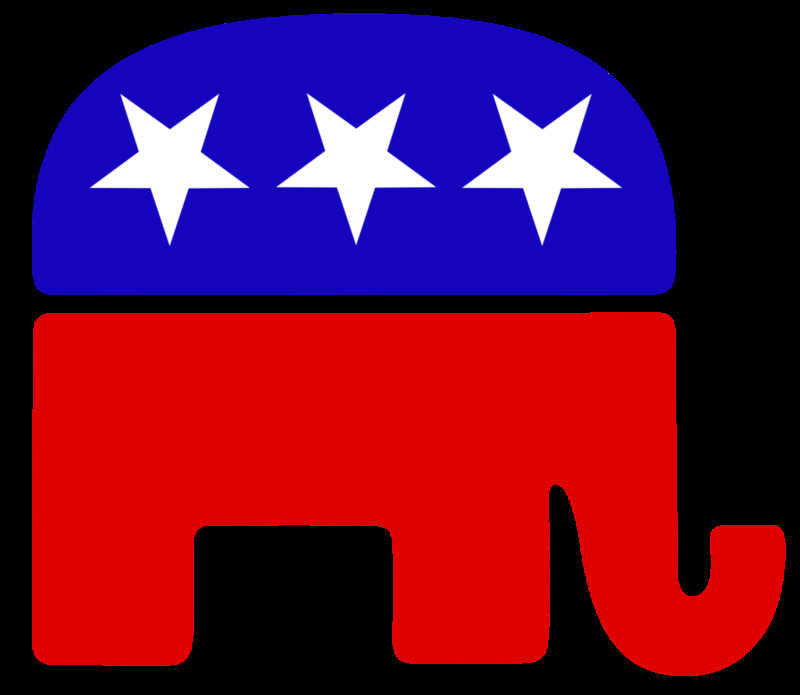 A candidate doesn’t have to be a Republican to run as a Republican. 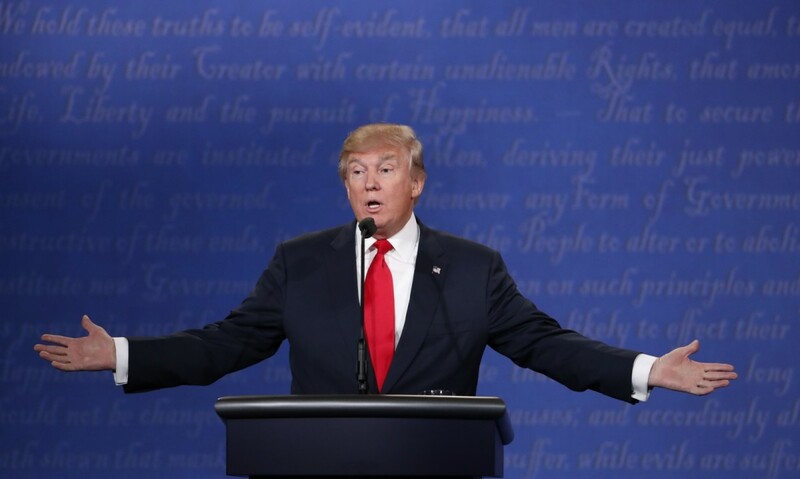 Trump was a Reagan Republican, switched to the Reform Party, then became a Democrat, then a Republican, then an Independent and is now a Republican again. A candidate doesn’t have to be a Democrat to run as a Democrat. As a University of Chicago student Sanders joined the Young People's Socialist League (the youth affiliate of the Socialist Party of America), later joined the Liberty Union Party, then became Independent, then a Democrat, identified as a socialist while mayor of Burlington, Vermont in the 1980s and again during his 2016 bid as the Democratic Party presidential nominee. A candidate doesn’t have to be a Greenie to run as a Green Party Candidate. Jill Stein was a usta be Democrat before turning Green in 1998. But she was also the Green-Rainbow Party candidate for governor of Massachusetts and other state offices before running for President on the Green Party ticket in 2012 and 2016. 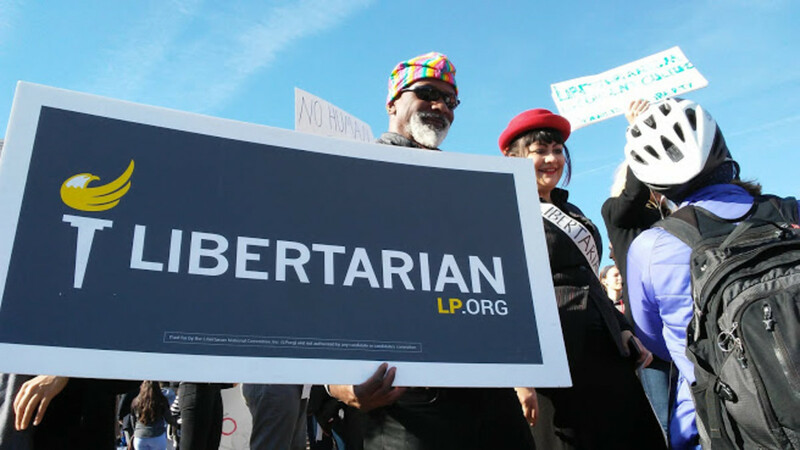 And it’s even true that a candidate doesn’t have to be a Libertarian to run as a Libertarian. Both the Presidential and VP Libertarian Party candidates were Republicans before claiming to be Libertarians. 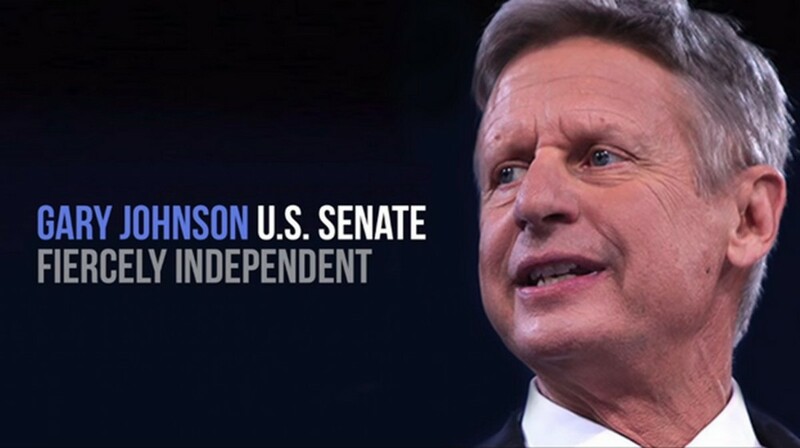 Gary Johnson was the twice-elected Governor of New Mexico before running as a Republican nominee for President in 2012. He then switched to the LP as its Prez candidate in 2012 and now again in 2016. 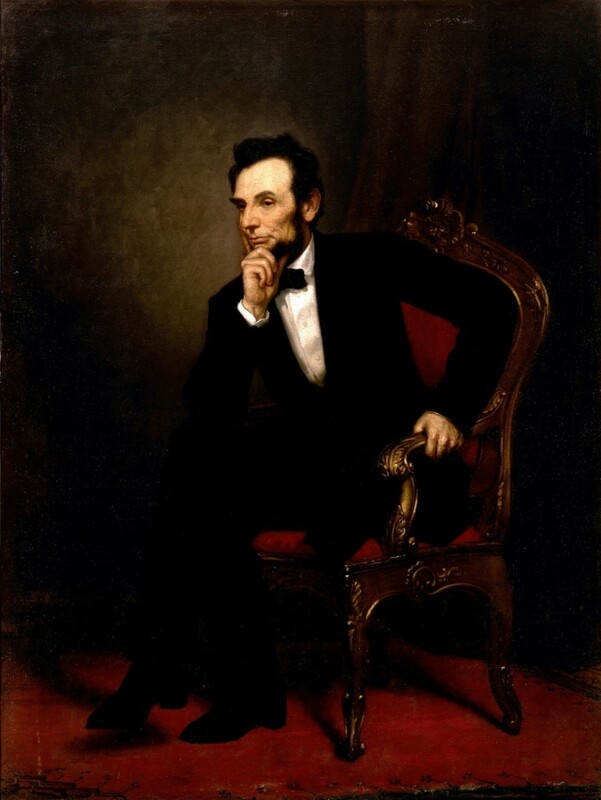 VP William Weld likewise was a twice-elected Governor, of Massachusetts, before quickly switching to the LP to become Johnson’s running mate. 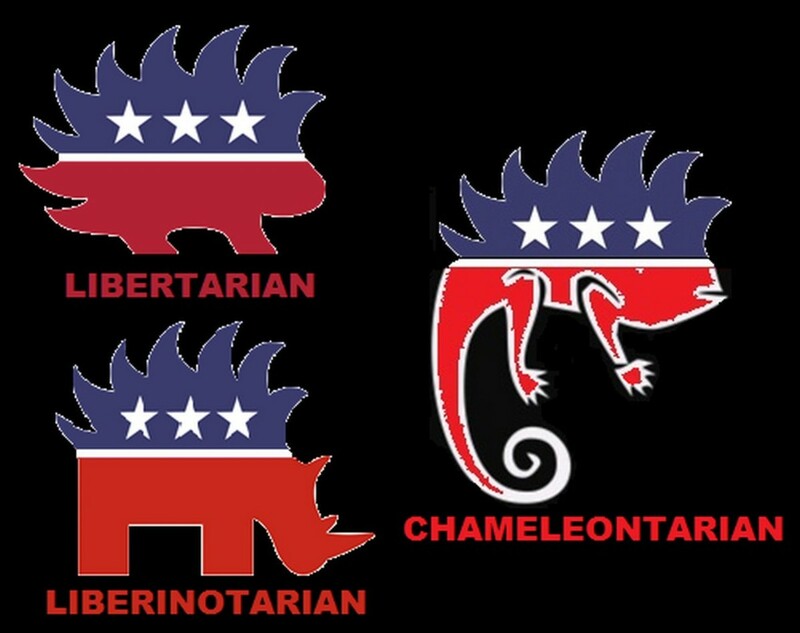 Instead of the Porcupine logo maybe the LP should be using the chameleon as its animal symbol. Over at The Libertarian Republic Josh Guckert wrote an article that exposed what an evil statist hypocrite Libertarian Party VP candidate William Weld proved himself to be. He offered to pay the dinner tab for the Gary Johnson campaign staff recently at a restaurant. But instead of using Silver Certificates, gold coins, gold dust, bouillon, Bitcoin or similar digital money like steem or crypto-currency like Blackcoin Weld reached into his wallet and… Gasp! …pulled out statist-corporatist-bankster fiat US dollar bills derisively known as Federal Reserve Notes! As Guckert put it, “the former Massachusetts governor committed an unforgivable sin, totally violating the non-aggression principle.” And it was further rumored that the disgraced candidate may have committed the ultimate of all anti-libertarian scandals by driving on a government road when he left the restaurant that night! There is a strong suggestion however that the article, filed as it was under a “political comedy” topic tag, was intended to be a mockingly brutal satire of all those tiny-minded non-libertarians famous for creating flimsy little anti-libertarian strawmen specifically for the purpose of napalming them with flamethrowers as a safe alternative for talking about real libertarian ideas. If nothing else it does prove that some libertarians can actually live up to the concept of “Fun&Freedom” by actually laughing at themselves even as others take themselves and their ideological posturing so godawful seriously they can’t even crack a smile. If you’re still undecided about how to cast your Presidential vote in November this may be your last chance to compare the current collection of contestants and make up your mind. 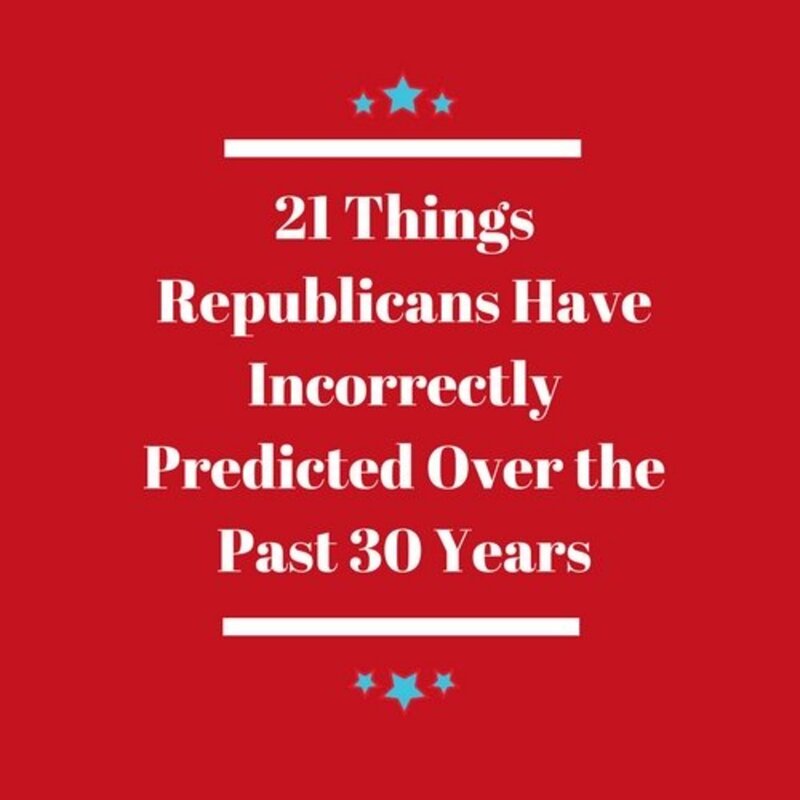 This is a fact book, meant for thoughtful voters who want to know more than what they get from the 24-hour soundbite cycle offered by the mainstream media. By contrast, it wasn’t satire when several sources including The Hill reported that the Great Self-Anointed Champion of American Socialism, Democratic Party Presidential Candidate Bernie Sanders, had taken all the campaign loot he had collected from naïve millennials, quickly resigned from preaching against income inequality and joined the One Percenters he frequently condemned and bought himself a third summer home, this one for $600,000 with four bedrooms and 500 feet of Lake Champlain beachfront in Vermont. At least that’s the official Weekend at Bernie’s account. The Sanders pass it off by saying they already had three homes; they just sold one so they could buy another. No big deal. But still, three homes? For an avowed socialist? Don’t socialists oppose private property ownership? Aren’t they collectivists? Don’t they live in communes and group homes? Will the homes the Sanders are not currently occupying be available for fellow Marxists to just move right in and camp out since all property is public property anyway, except of course for “personal possessions” like tooth paste, dentures and underwear? Isn’t that how they keep telling us the ideal society is supposed to work? And isn’t it likely that the house the Sanders bought was built by capitalist homebuilders funded by crony capitalist banks constructed with corporatist materials possibly by the hands of “illegal” or “undocumented” immigrant day laborers taking jobs from American Union workers? The least he could have done was pay for his house in Euros, the monetary lingua franca of those economically distressed Democratic Socialist Republics that are so fantastically successful as long as the US keeps paying for the majority of their military defense requirements. 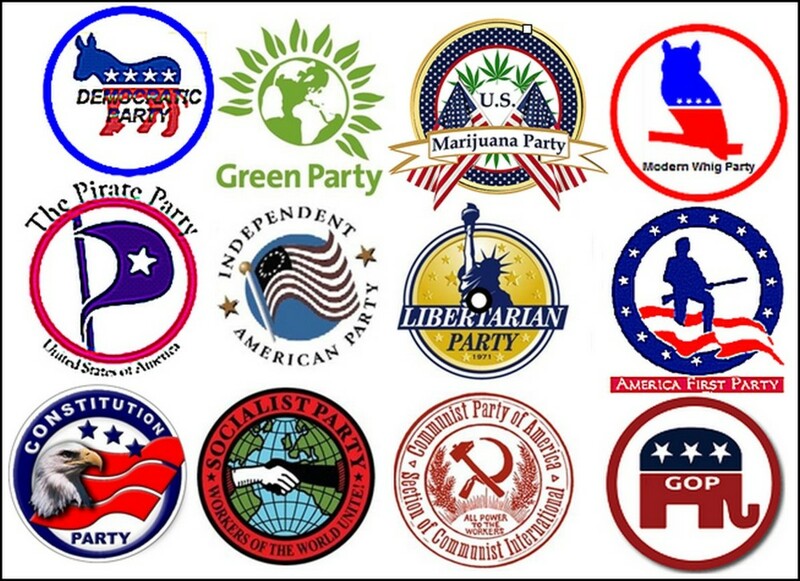 So what about new parties? 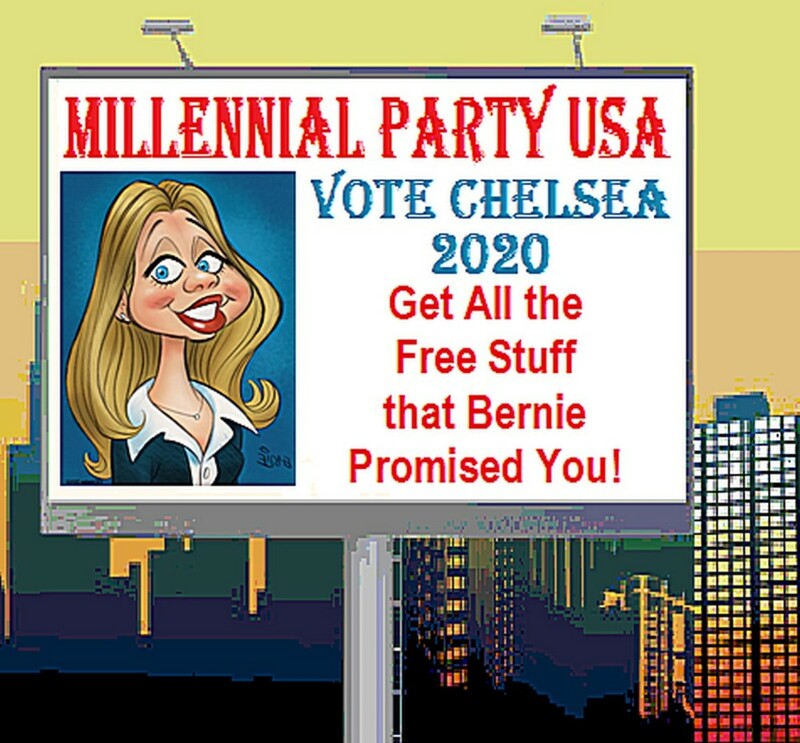 The Federalist quotes Chelsea Clinton as saying “who wants to grow up and follow their parents?” A Millennial doesn’t have to be a Democrat after all, which should pop the political door wide open for her to run for president on her own Millennial Party ticket should the whim strike her. At 36 she’s already legally old enough to occupy the White House. But it’s also groupthink. 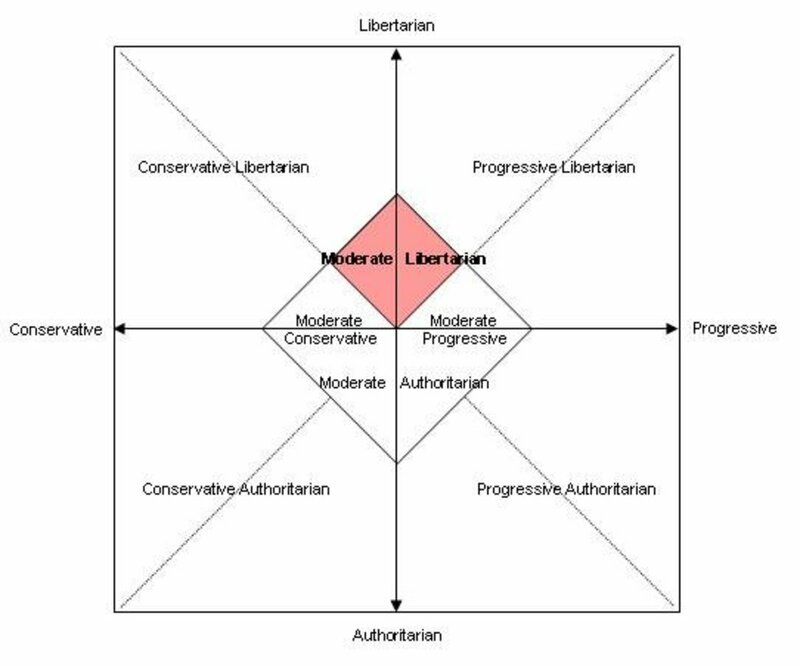 It’s wrong to identify all Millennials as identical interchangeable entities just as it’s wrong to think of all conservatives or all liberals or all libertarians as just one big monolithic single-minded blob of people. It’s groupthink but it doesn’t seem to matter because virtually all politics comes down to groupthink. So her platform for a landslide election is obvious, at least for the media political pundits: Promise everyone free trophies, free college tuition, free healthcare, free iPhones, free living in their parents’ homes until age 56 and guaranteed success for everyone. The fact that the basic premise is wrong, that there is no such thing as “free” or “guaranteed” anything, doesn’t matter. This is politics remember. Her campaign slogans, patterned after the utterly empty and meaningless but constantly repeated and incredibly effective Barrack Obama 2012 zombie chants of “Hope” and “Change” will be “Slackers Forever” and “Always Be Cool.” That’s a lot of words to deal with so maybe just “Cool Slackers” would be better. Of course she’ll have to be careful. If she doesn’t win the first time out, in 2020 say, she’ll quickly spoil beyond her “Sell By” date and be overwhelmed by the up-and-coming hard-on-her-heels Post Millennial Totally Lost Airhead Generation (with Airhead being one of those retro vogue words that last for a month or two). But then who knows. Things are changing fast in politics these days. Many Millennials, surveys keep telling us, lean keenly toward the Free Minds and Free Markets of libertarianism. No groupthink there. Libertarianism requires individual freedom and personal responsibility. Thanks. I make it a point to offer a more distinct and often unique viewpoint on many topics. This isn't the same old, same old that's filling the pages of HubPages these days. Interesting.